Hey there! Just received the following comment on my Hood-to-Coast blog entry. BACK BY POPULAR DEMAND! 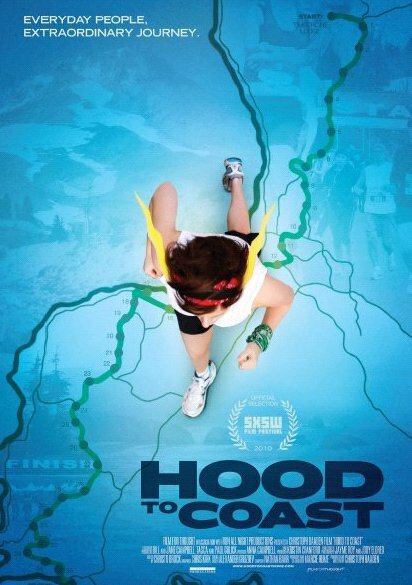 We are excited to announce a one-night encore performance of the running documentary Hood To Coast in select theaters. This is your final chance to see the Event with the Red Carpet and Expert Panel. Hood To Coast will be playing again on February 10, 2011 at 7:30pm. To find participating theaters and buy tickets, please visit www.hoodtocoastmovie.com (tickets can also be purchased at your local box office). This truly special film opened to rave reviews. Hood To Coast is the largest relay in the world, where each year 1,000 teams (12,000 runners) cover 197 grueling miles as a relay, putting themselves through an arduous physical journey that as an individual would be impossible. As Bart Yasso of Runner’s World magazine put it, “If one movie captures the Runner’s High, Hood To Coast is it!” The film captures the love, dedication, and insanity of the every day runner as well as the excitement, pain, and humor of the unprepared first timer. Their stories are reminders that no matter who you are, you can push yourself beyond where you thought your limits were. If you have already seen the film, please tell your friends that there is another chance to see Hood To Coast in theaters. Check out the trailer at www.hoodtocoastmovie.com. Was sent this link today. Can't wait to unveil all the information about my Women's Sprint Tri coming in August! 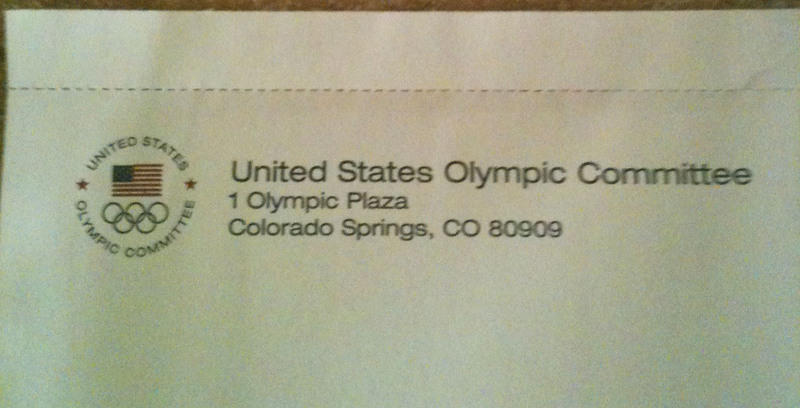 The US Olympic Committee wants me? 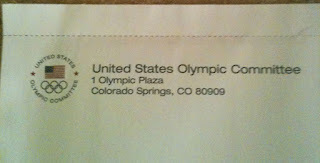 What else could it be than the USOC recruiting me for the 2012 London Olympics Triathlon Team, right??? They want me to send them $20 to support U.S. Olympic athletes. And, in return, they'll send me a "soft black fleece jacket that will keep me warm and cozy on cool fall nights and cold winter days. And, it's made to last!" Included in the direct mail package was a couple of pages of self-adhesive mailing labels, some "Support Team USA stickers" and a fairly nice "frameable" Certificate of Support from the USOC. For someone who is in marketing, I was impressed by the slick presentation. Will I do it? Yes. I love watching the Olympics. And by giving to the USOC, "I'm giving athletes to chance to fulfill their Olympic and Paralympic dreams- and to make America proud." The clincher was the Paralympics. Can those athletes be any more awesome? And especially since triathlon was just added as a sport to the Paralympics, I'm definitely on board. (cue sappy music now) I'll wear my fleece with pride. The ultimate VIP Olympic Experience for two — spend several nights as guests of the U.S. Olympic Committee, joining other friends and family at premiere sport events and victory ceremonies! This package includes exceptional seating at competitions, accredited transportation, fine dining and a reception at the USOC's exclusive USA House. Meet remarkable athletes and USOC Leadership, tour historic London and share in the camaraderie of the Games! My First Iron-Distance Swim Today! I've had a few tough days getting my training in this week, but I was determined to redeem myself in the pool today. I even painted my toenails blue last night to give me a little extra motivation. Silly, I know, but it kept me thinking about it all morning and couldn't wait to get to the pool. Whatever works?! 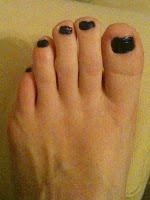 I'm thinking I'll end up with blue-painted toes for Ironman Texas now, too! :) And, of course, wore my girly-skull swim cap (available here) to keep things fun. So, this was a big deviation from my training plan, so I apologize to Don Fink and accept full responsibility if I crash and burn because of my non-compliance to your carefully crafted training plan. 2.4 miles - 85 laps. The furthest I have swum to date is 60 laps. Crazy? Maybe. A huge mental boost? Abso-freakin'lutely! I had missed a couple of lunch time workouts due to work functions this week, so I used some of that time to get this swim in. It went awesome! I was lucky that there were a couple of decently good swimmers that came and went during my swimming time- thank you gentlemen for swimming with me when you didn't know that you actually were... The laps went by fairly quickly. I started to feel a little slow at around lap 70, but then I realized that there were only 15 more to go, so I got my head back in the game. Especially when I knew I was going to finish faster than my conservative guesstimate swim time of 1:30. I finished in 1:24. Looking at the swim pace, I think I may have double counted a lap or two, but I'll take it. When I finished, I was alone in the pool. 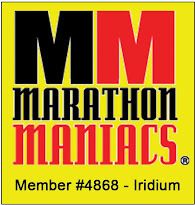 I kind of wished I had someone there with me, because I really felt like I did after I finished my first marathon. A little on the emotional side - because I had just accomplished - what was to me- a big goal. So, yes, I shed a couple of tears. Only a couple - and only out of the left eye. It probably had more to do with the pain that the goggles had caused from sucking to my face for that long, but nonetheless, I was excited. For someone that had only learned how to really swim 2 years ago (for my first sprint triathlon), achieving a 2.4 mile swim was a big deal. Can't wait to get a few more of these done and especially some in open water. I decided to forgo my evening bike trainer workout and head to see the 1-1-11 movie showing of Hood-to-Coast. 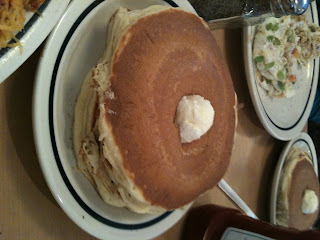 I went in without expectations. I had only seen one trailer, but it's a movie about running and inspirational to boot, so I was sold. This movie is awesome. It had moments that made you laugh, made you cry and made you shake your head - with the "I know exactly what that person is feeling" moments. The editing was well done and the music was great. I would highly recommend it to anyone. I think what I liked most about it, was that it wasn't "acting." There was not one moment in the movie where I felt that the camera crew prompted a person to say something so that it would look good on film. No directional persuasion, of sorts. The reactions, the moments caught are real. Of real people. And, I think that's what makes this film so good. Definitely give it 9 stars out of 10. Would have liked to see a little more of the runners being followed throughout the course than the interviews/ van scenes. While traveling to Oregon seems like fun, Texas has it's own relay, the Texas Independence Relay, which takes place in March. This is a 40-leg, 203-mile run. The little video below is cheesy funny. Sung to "Don't Stop Exchangin'" it's a musical montage of different teams and the course. A group of folks from my work have done this the last few years and looks like a lot of fun, but with a little one at home and tri training, it hasn't worked out to be a part of it. Maybe, one day. "Hood To Coast is a feature length documentary that captures the spirit of the runner like it’s never been seen before. Following four teams on their epic journey as they try to conquer the world’s largest relay race, we realize that winning isn’t everything in a documentary that takes a celebratory look at personal motivation and attempting the extraordinary. For 30 years, thousands of runners from across the country have gathered for this running world favorite, and now you can feel the pain, relish the camaraderie, and get a taste of the runner’s high in a movie theater near you. Even if you’ve never run a step in your life, this documentary will make you want to push yourself farther than you’ve ever gone before." Wow! Am I glad the race was yesterday! Mother Nature put on an impressive display this afternoon and we received a few inches of snow. My daughter had a great time putting together a little snowman and making some snow angels. We don't get a whole lot of snow days in North Texas, so when it happens on a weekend, when I can hang out in my PJ's and not have to go anywhere - it's blissful! It won't stick around long, but it was beautiful to watch. What an awesome race! The Bold in the Cold 15k is held in Grapevine, TX by the Lake Grapevine Runners and Walkers. This was my first time running one of their races and my first time racing a 15k. I've done pretty much every other distance -- other than an ultra -- so, it was fun to try something different and a 15k fit nicely in my Ironman Texas training schedule. The name for this race didn't do it justice. "Bold" was not my 4 letter word of choice to describe the 34 degree weather at the race start and freezing wind chill. We were all so cold and there were no amount of layers that were going to keep us warm, although it was extremely comfortable once the race got underway. The race was mostly on a very scenic trail which part of followed the shoreline of Lake Grapevine. It was gorgeous. There were enough rolling hills to keep the course challenging. 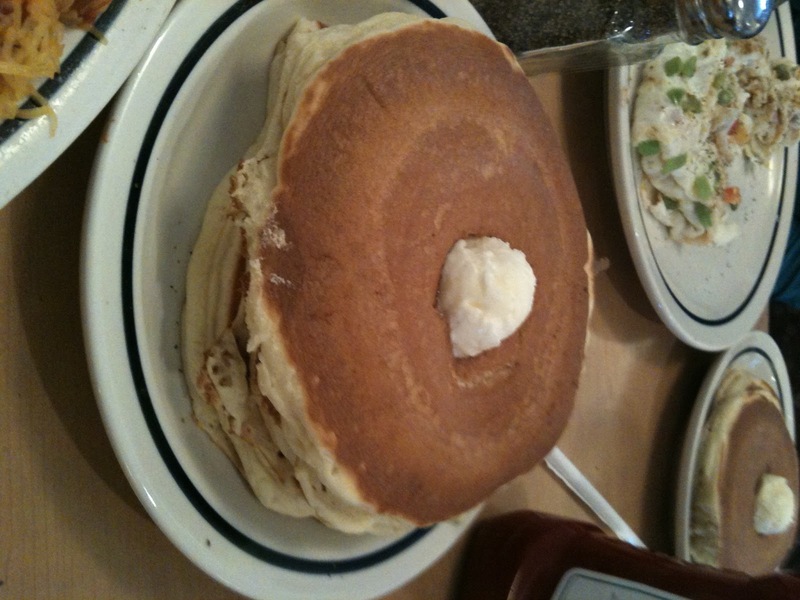 One of the best parts of the whole morning? My mom ran the 5k race! It was the first time that both of us had competed at the same race together! And, with no training... she kicked some major boo-tay! She placed third in her age group! THIRD! She got an awesome medal and I couldn't be more proud of her! The other best part? I was able to meet up with IMTX training partner, Marcy at Team Village Idiots, and fellow bloggers Jason at Life of An Aspiring Triathlete and Allison at Just Tri and Finish! I also got to meet Scott and Gary from BeginnerTriathlete.com. Scott ran the 15k, and unfortunately his new IMAZ tattoo was covered up with compression wear- but it totally rocks! And Gary was out on the course taking pictures. Marcy's mom ran the 5k as well and placed 2nd in her age group! Whoo Whoo! And a big congratulations to Jason for placing 3rd in his age group! He averaged a 7:21/min mile! En fuego! 8:23/min mile pace over 9.3 miles. Marcy's Mom & My Mom with their 5k Age Group Win Medals! 77 seconds separated me from taking 3rd place. There were 13 seconds between me and 4th place. Not that I'm obsessing over the details. I am very happy with my 8:23 pace, it's faster than what I would have even guessed I could do for that distance and shows some serious progress in my running. I feel like I'm really learning how to "race." Normally, I'm in my own little world just ticking away the miles. Today, I hunted down ponytails (in the nicest possible way, of course), but if I could see another girl in front of me, I was going for the pass. My 10k runs at lunch with the hills paid off big time today. Overall, I loved this race and enjoyed the course. I thanked every volunteer that I passed and had a smile the entire time. Today is also the birthday of my best friend, Chrys! Happy Birthday B_ _ _ _ _ H! Love ya! I can't believe it's been a week since I've been running. How is that even possible? I've been hitting the bike trainer and the pool, but have somehow avoided going out into the dark and cold to run. So, I am so looking forward to getting in a 10k at lunch today. I feel like a horse ready to get out of the gate. Let these legs stretch out and go! The picture to the right is one I snapped the other day of part of my lunch time running trail. It's a pretty quiet country road that has some nice winding turns and a couple of "wake your quads up" hills. There's even a sweet Lab that comes out to greet me pretty much every run. I remembered to bring a dog treat today for him, too. Today is the year anniversary that one of my close friends decided to take his own life. These aren't the types of posts that I want to share, but suicide affects so many people and families and can be something that no one saw coming because they hide their pain down to the very last minute. Brandon's decision to end his life that night took away a friend, a son, a brother, an uncle and so many years of memories that were yet to come and left so much hurt, tears and emptiness for those of us he left behind. For now, I will remember the good times. This is a video that I put together for his memorial. Miss you, Brandon.